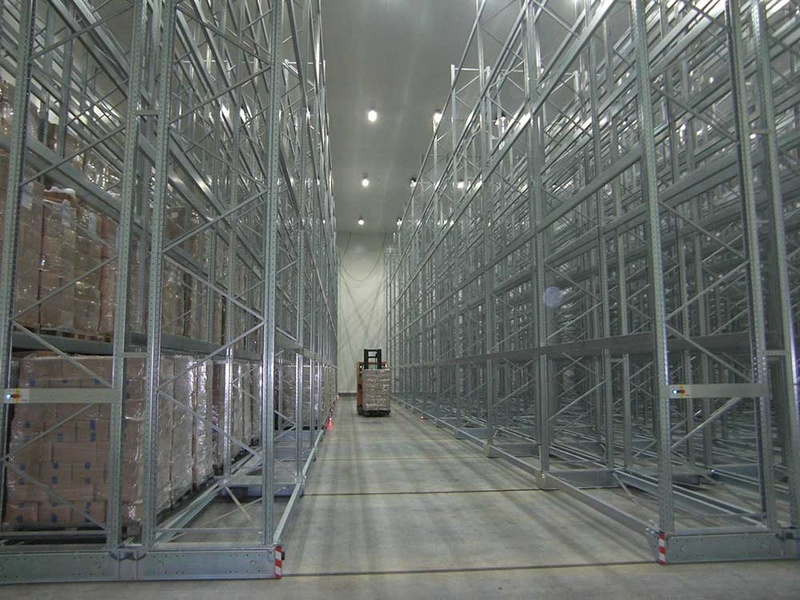 For new big cold room with temperature -25°C for storage of frozen fruit, Refteco has delivered cubic industrial evaporators REIS series and MCX condensing units with air condensation. 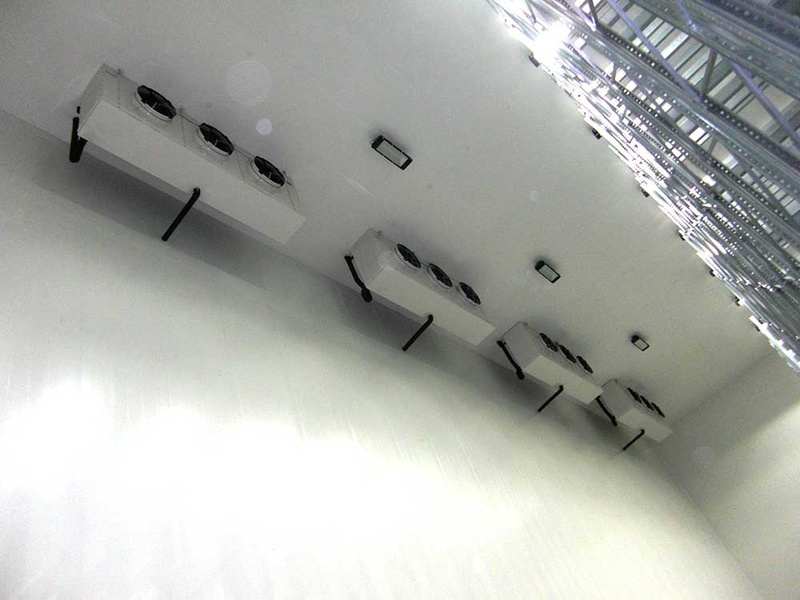 The evaporators are equipped with special fan-motors with high static pressure to provide 60 m air throw. The condensing units are equipped with screw compressors and economizer to meet the customer target for the highest plant efficiency. 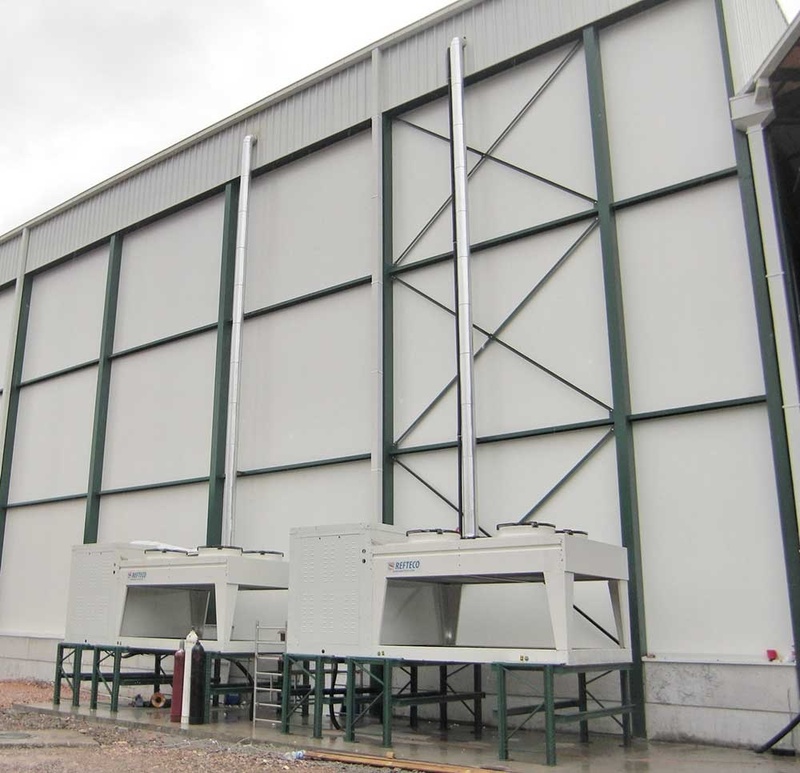 Industrial evaporators REIS and MCX condensing units.